EBBs are intended for ventilation of small or medium-sized rooms (bathrooms, small kitchens, etc.) as well as offices and small shops. EB and EBB radial fans have a housing made of plastic, have protection against electric shock in class II. The EB and EBB fans are adapted to work in any position. High static pressure allows for installation in relatively long ventilation ducts Ø100 mm. 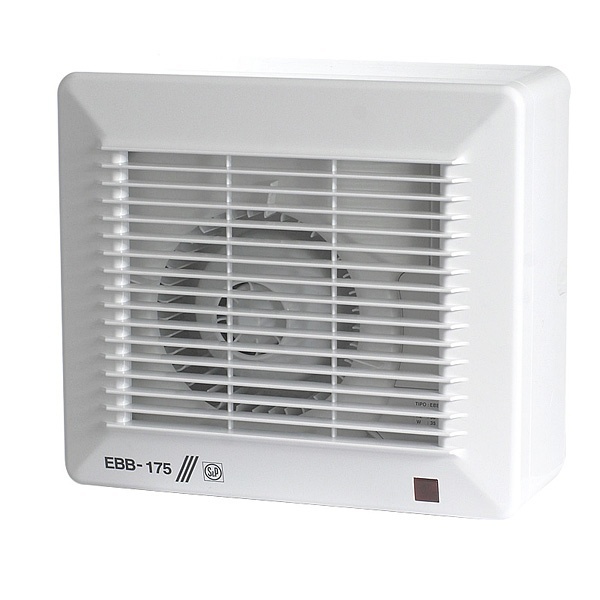 EB and EBB fans have a return damper in the outlet duct that prevents the return of air when the fan is turned off. The EB-250 model is additionally equipped with an easily removable metal filter mesh. Electric motor 230 V, 50 Hz with ball bearings. The motor has protection against electric shock in class II, IPX4 degree. When used for work at temperatures up to 40 ° C.